Hi, this is Ushma Chheda and I am from Neev Nutrition and Wellness Centre. We have our 3 centres at Vile Parle, Central Matunga and Ghatkopar. We are in this field since 15 years. Today I am going talk about skin and hair, this is not related to anything regarding weight loss its just focusing on skin and hair. One of the biggest motivations to adopt a more nutritious diet is the desire to improve skin and hair health, a healthy skin reflex how healthy you are on the inside. So what can you do to get glowing skin? We all know we should eat healthily, exercise regularly, distress and of course follow a regular hair and skincare routine. Your skin needs a boost from within to look fresh and glowing your hair needs enough moisture and nourishment throughout the year. Due to environmental factors and lifestyle changes hair tends to lose its luster, in such cases even the gifted requires some help. Although regular oiling and deep conditioning can improve the texture of your hair but what you put into your body will make a great difference. You need to eat the right balance of foods to feed your skin and hair. The vital nutrients it needs to help the skin to stay soft. Be sure to eat foods that include these nutrients often and you will reap the benefits of having a beautiful glowing and healthy hair and skin. Now let's talk about Iron as a first vitamin and ensures that your hair remains healthy by providing it with oxygen, lowering levels of anaemia which is the major cause of hair loss. What are the food sources of iron, the dark green leafy vegetables, beetroot and one of the very most important seed which is called as Garden cress seeds it is also called as Helen in Hindi or Marathi and in Gujarati it is called as asceroe. It is generally given to women, who are lactating, but all the people can use the seeds by soaking it in water and then taking it early morning with lemon, this is the highest source of iron and so it is really benefited. Now Vitamin C and Iron and Vitamin C are to nutrients which are best, when taken in combination with each other. Eating food rich in vitamin C will allow better absorption of iron in the body not only that Vitamin C is a prime food which helps in the production of collagen which is also important for the skin and also strengthens the capillaries that supply blood to the hair shaft. Which are the food sources of Vitamin C the highest as you all must be knowing is awla. We are gifted with awla as our local food and winter being the best season, you should use awla and many varieties could be awla juice, it could be murabba or it could be boiled awla used as an accompaniment in the food. Next is Vitamin E, it acts as an antioxidant it is very essential nutrient when it comes to skin and hair care as a base ingredient it is also used in most of the hair and the skin care products. It’s crucial for healthy hair, it helps in building and repairing hair tissue and also and protecting hair from Sun Damage. Most of the nuts and the seeds are rich in Vitamin E also olives, avocado, asparagus they are rich in Vitamin E. The next most important minerals for skin and hair is Selenium, it maintains the firminance, the elasticity and also prevents acne. Selenium is also helps in the absorption of Vitamin E which is a very important and antioxidant. The most important food sources of Selenium are the Brazil nuts, the walnuts, the wheat germ, onion, whole grains, brown rice and poultry. Vitamin A is again another important nutrient which takes care of the hydration of the epithelial tissue, if you are deficiency in vitamin A you might have dry and flaky skin. Also one of the reason for hair loss is deficiency of Vitamin A. The natural conditioner produced by a body known as sebum, also required Vitamin A for its production. Beta-carotene is the precursor to Vitamin A and it is also an antioxidant which is found in bright red and yellow colour foods. So which are the bright yellow-red colour fruits they are the papaya, strawberries then tomatoes and such fruits and vegetables. Also dark green leafy vegetables a very high and beta-carotene the milk and milk products are again a source of Vitamin A. Omega 3 fatty acids the oil that boosts the hydration of your hair, scalp and skin is provided by Omega 3 fatty acids. This nutrient is also present in the cells that line the scalp, so it is important to add this fat for your diet. Food sources would be avocado, Pumpkin seeds, walnuts, Chia seeds and flax seeds. Let's talk about the second nutrient that is zinc, it is a trace mineral that repairs the damaged tissue and heals wounds. It protects skin from the sun’s harmful ultraviolet rays. A skin may help to prevent the acne and regulate the production of oil in the skin. The richest sources are the highest sources of zinc are taken Pumpkin seeds, ginger, legumes, mushrooms and whole grains. Next nutrient is very important for those were trying to lose weight that is biotin, biotin is responsible for hair growth and increases the volume of hair. Biotin deficiency can lead to discolouration or thin of hair. Why did I say that it is important for people who lose weight because they restrict the potato and rice which are one of the very good sources of biotin? Whole grains, soybean all the barriers that are the cranberries, strawberries, raspberries, brown rice, oats and sunflower seeds are rich in biotin. Another important macronutrient is protein, hair is majorly made up of protein so consuming an adequate amount and quality of protein will definitely make the hair better. If your diet consists of lower proteins you are likely to have hair loss or dry and brittle hair. Eat the right proteins and keep your hair strong. Foods sources would be all the dals, pulses, soybeans, chickpeas, milk and milk products, but remember that having a good quality protein is important as vegetarians for the protein to become good in quality you need to make cereal and pulse combination, so its biological value increases or to have a milk source attach to like for example se kheer or mixing dal and curd combination like chats would be a good combination to make the biological value of the dals better. You must have observed that when you suffer from constipation generally there are some breakouts or pimples which appear on the skin it's because that the toxins are not getting out of the system. A fibre rich diet facilitates your liver and Kidneys to express the toxins from your body easily. It also helps to maintain your hormone balances and thus renders glow to the skin and the hair. Last but not the least is the most important part of Nutrition that is water and it is available for free. For soft and supple skin drinking an adequate amount of water is more important then apply any topical creams are hair thrives on moisture rich environment and water is the best source or best way to quench thirst. Dehydration may result in dry and brittle hair. Institute of medicine has determined that daily adequate intake of water for men are 3 litres and for women is 2.2 litres. So I hope by giving this little information you can always take care of a skin and hair and avoid your visits to the parlours and the specialist. For more information, you can always contact me on lybrate.com. Thank you. this is Ushma Chheda from Neev Nutrition and Weight Loss Centre, we are located in Vile Parle West, Ghatkopar and Matunga. We have been in this industry for 15 years and have almost handled 5000 plus clients, we are having consultation all over the world and also through online. Let's talk about something which all forgets after a weight loss journey, that is how to maintain the weight. We are always seen that people always put on the lost weight after 2 years. So losing weight is a challenge, everyone knows, but maintaining is a double challenge. However, once you reach your ideal body weight returning to your old habits will pack the kgs back on. 80% of people do this mistake. Remember there is nothing called as getting back to your normal routine these old habits have made you fat, so you need to correct them or if you have corrected them, keep it in the same forever. The reason why many people fail to maintain their weight is because they follow the unrealistic diet that is not visible in long term. Do not expect shortcut or fast weight loss, that is the reason you end up doing a soup diet or liquid diet or only fruits diet, always see to it that you incorporate the foods into your weight loss program which you going to use forever, for example, many people stop sugar during the weight loss journey but then restarted it once they have reached their weight, ideal body weight. But I would suggest, cut down on the sugar rather than stopping that. So you would never get back to increase at that level your palate for sweetness will always stay the same. When a person is on weight loss journey, it is always observed the exercise, they walk and also they follow a low cal diet. But the moment they get their weight up to the optimum, what happens they leave walking out, they leave dieting. So the calorie restriction what is there say for example you are working out and your dieting, so the balance or the gap of calories is this much, once you reach the optimum weight this goes down that the exercises stock and food also becomes more. So the gap automatically decreases and that is the reason the weight gain is faster or easier, you do not have to get back into the reverse gear remember that. When you are trying to maintain your weight always have an energy balance say, for example, you have eaten a heavy dinner, see to the next day your intake decreases or your output increases. In this way it is easy to maintain your weight say, for example, one plate of Pav Bhaji is equal to 80 minutes of cycling or 1 plate of idli sambar is equal to 52 minutes of brisk walking, you will always have to see to it that you are listening to your body, your body always give you signal, it becomes sluggish or it becomes you feel a little heavy. Do not ignore it, always have a weighing scale in the house, so that the moment you feel is symptoms have around, you always check your weight and if you are up by 1 or 2 kg this is an alert signal, do not ignore it. Thinking that is this 1, 2 kg because this 1,2 kg you never know it all up to be 5 kg and again getting back to the weight loss of 5 kg is going to be a tedious thing. Losing weight, eating everything is the right way to lose weight, always remember our Thali the Indian culture, especially for vegetarians, is always overloaded with carbohydrate food, the roti, the rice, the vegetables and fruits rich in carbohydrates. The dal is the protein source also having a high amount of Carbohydrates, so your thali should be balanced. Your dal, your pulses the milk products should be in much more quantity compared to what you are eating. Having a high protein diet always helps to improve your metabolism as well as pulses and legumes keep you fuller, it has high fibre. Fibre is very important to keep you full and also is very low in calories. Another source of fibre rich fruits and vegetables which are having negligible calories, make interesting recipes out of them so that you find your food always interesting. One more very important factor to maintain your way is to deal with stress when you are suffering from stress you end up eating a lot. This is how a lot of people feel better you do not know what is going in the mouth you end up needing cashews, nuts or also chips always see to it that you are finding healthy ways of dealing with stress, especially if you tend to eat when you are anxious instead of hitting the fridge or the couch. When you feel stressed take-up something which freshens you up like soaking in a hot water bath or dial a friend or go for dance classes or just go for a walk, listen to music are simple ways of beating your stress rather than searching food as a comfort factor. Next important topic is portion size, we would never say restrict any food when you are losing weight you will eat whatever you going to eat forever only thing what you have to do is control your portion size. If I like ice cream I can always have two, three spoons and be contended. Consistency is the key to keep your weight off, instead of on and off dieting that ends up with going back to your old habits. It is best to stick with your new healthy diet and lifestyle for good. While adopting a new way of life may seem overwhelming at first, but making healthy choices will become the second nature when you get used to them. Your healthier lifestyle will be effortless and you are able to maintain your weight much more easily. Mindfulness is a key when it comes to maintaining the weight, you really work hard to lose it, remember that. For more information you can always visit me at Lybrate.com. Thank You. Dt. 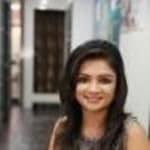 Ushma Chheda is an experienced Dietitian/Nutritionist in Ghatkopar, Mumbai. She has been a practicing Dietitian/Nutritionist for 14 years. She is a M.Sc - Dietitics / Nutrition, B.Sc. - Dietitics / Nutrition. She is currently associated with Neev Nutrition and Weight Loss Centre in Ghatkopar, Mumbai. Save your time and book an appointment online with Dt. Ushma Chheda on Lybrate.com. Lybrate.com has a nexus of the most experienced Dietitian/Nutritionists in India. You will find Dietitian/Nutritionists with more than 34 years of experience on Lybrate.com. You can find Dietitian/Nutritionists online in Mumbai and from across India. View the profile of medical specialists and their reviews from other patients to make an informed decision. It’s been a great experience being treated here. Best part was I cld it all my favourite food in n healthy manner . Firstly I use to start for days just have very little food n in return just got weekness n weight loss. But after joining Ushma Chheda’s Neev I eat 6 times a day n with full tummy . N their recipes r amazing ,mouth watering . This is very help full for us. thank you team. Weight Loss During Menopause - 5 Ways To Manage It Well! Soft drinks are the highest consumed beverage across the globe. From young children to the elderly, soft drinks are everyone's favorite. Some people even prefer to drink soft drinks than water. You may think of soft drinks as a tastier alternative to water but it doesn’t really have the same effects nor is it healthy. While water is necessary for the human body, soft drinks can be quite harmful. Let’s take a look at some of the bad effects of these colorful drinks. Soft drinks can make you put on weight: Soft drinks are one of the leading causes of weight gain. Sodas are rich in sugar that has a high calorific value without any nutrition. One soft drink can have as much as 10 spoons of sugar. This not only makes you put on weight but can also lead to lifestyle diseases. Consuming so much sugar in one go can cause a blood sugar spike and cause an insulin reaction. Over time, this can lead to insulin resistance and type 2 diabetes. The day you stop drinking soft drinks, you will begin to feel lighter and healthier. Soft drinks can dehydrate your body: You may drink soda to relieve your thirst but soda can dehydrate your body. In the long run, this can make your skin lose its softness and elasticity. It can make your skin age much faster than normal. As a result of dehydration, your hair may also turn brittle and begin to fall out. Soft drinks can damage your teeth and bones: Soft drinks have a very high pH level. Thus they are acidic by nature. Thus when soft drinks come in contact with tooth enamel, they can damage it. This may make an existing cavity worse or lead to tooth erosion. They also contain phosphoric acid that has been associated with bone disease and osteoporosis. Phosphorus also binds easily with calcium and when excreted takes the calcium along with it. In this way, the soda you drink can make your bones brittle and weak. This can also make you susceptible to fractures. Soft drinks can affect your liver: Drinking excessive amounts of soft drinks can cause liver disease. This is because soft drinks are rich in high fructose corn syrup. Unlike glucose, this type of sugar can only be broken down by the liver. Thus drinking too many soft drinks can trigger the non-alcoholic fatty liver disease. It can also cause high cholesterol levels and make your blood pressure fluctuate. 7 Reasons Why You Must Eat Fenugreek (Methi)! Methi or Fenugreek is a herb with green leaves that come from the Pea family. The seed of fenugreek is bitter in taste and are used in preparing a number of medicines. The leaves of fenugreek, however, are quite delicious when cooked. But what most people are not aware of is that 1 tablespoon of fenugreek leaf contains calorie, fat, fiber, protein, carbohydrate, iron, magnesium, vitamin B6 and phosphorous. It goes without saying that methi is extremely beneficial for the overall health of an individual. Addresses Heart Diseases: Fenugreek contains a compound known as galactomannan that plays a key role in addressing many heart problems and supports the cardiac muscle to remain intact. The sodium and potassium content of fenugreek helps to maintain the heart rate and keep the blood pressure at an optimum level. Lose Weight: Fenugreek helps to lose weight. The natural fiber content of methi, when consumed in the morning on an empty stomach, can help to curb hunger. Fenugreek swells in the stomach and gives a fulfilling feeling. They can become a major aid in any weight loss program. Addresses Acid Reflux: Fenugreek is an extremely good remedy for addressing heartburn and acid reflux. Fenugreek contains mucilage that coats the intestinal and stomach lining and thus soothes the gastrointestinal tissues. The methi seeds should be soaked overnight in water before consuming. Helps in Fixing a Sore Throat: 1 spoon of methi paste when mixed with honey and lemon reduces fever and give relief from a cough and cold. It is also capable of fixing a sore throat. It nourishes the body and helps to recover from cold in very short time. The benefits offered by fenugreek or methi are numerous, however, there are few things that one must take care of i.e. pregnant women should not consume methi seeds as they can possibly lead to early contraction and also while taking them you must consult with your doctor as methi can react with certain chemicals and antibiotics. In case of a concern or query consult an expert & get answers! What you eat has a direct effect on your skin; eat healthy and your skin looks healthy, eat unhealthy food and your skin looks dull. Eating right can even fight signs of aging thus, negating the need for procedures like Botox. Not only does it cost less, but healthy food boosts your overall health as well. Here are 6 such foods that can help you fight signs of aging and give you a flawless complexion. Turmeric: Turmeric is well known for its yellow colour and anti-inflammatory properties. Many home remedies suggest the use of turmeric for a number of health ailments including skin conditions. Turmeric can fight signs of aging by reducing inflammation and oxidation. This, in turn, helps the skin heal faster. This spice can be added to your food or mixed with warm milk to benefit from it. Tomatoes: Tomatoes are rich sources of vitamin C and lycopene. Vitamin C helps stimulate the production of collagen and hence keeps the skin firm while lycopene protects the skin against harmful UV radiation. As a general rule of thumb, the deeper red the tomato is, the better it is. Honey: Honey can be eaten or applied topically on the skin to benefit from it. Honey helps keep the body hydrated by absorbing moisture and preventing the skin from drying out. It also has antibacterial properties that prevent acne and other breakouts. Ideally, honey should be used and consumed in its raw, unprocessed form. Nuts: Nuts are a great snack that keeps your skin looking young and fresh. Almonds are excellent sources of vitamin E that help fight acne, psoriasis and eczema among other skin ailments. Walnuts are rich in Omega-3 fatty acids that keep the skin soft and supple. Brazil nuts are also rich sources of vitamin E. However, keep in mind the high calorific value of these nuts and do not overindulge in them. Avocados: Avocados are filled with essential fatty acids that moisturize and nourish skin. They are also rich in Vitamin B, C and E. While vitamin C boosts collagen production, vitamin E maintains the elasticity of skin and prevents sagging. Natural Foods Vs Processed - Which Is Better? The battle of supremacy between processed and whole foods has been raging on for quite some time now. Which is better? Which is more nutritional? The debate seems a never ending one. This article will tell you the benefits and drawbacks of both types of foods. It’s for you to decide which one is better for you and which isn't. Processed foods are foods which have been altered in some way or the other to make them healthier, to make them taste better or for storage purposes. Almost every day to day food that you consume is processed. Some examples of processed foods include breakfast cereals, cheese, milks, soft drinks, bread etc. 1. Processed foods like different types of jams and juices taste very good and last longer, making them a part of every household. 2. Processed fruits, vegetables and herbs, when stored in cans, tend to be free from bacteria and other harmful agents. 1. Some processed foods are genetically modified, which may cause a negative impact on your health. 2. Foods tend to lose their nutritional value when processed. 3. Foods that contain added sugar and fat can lead to a lot of health problems like diabetes, heart diseases and other cardiovascular problems. Natural foods are those which don’t undergo any change in the form of added color, sugar or flavor. Natural foods go straight from vegetable farms and poultry farms to the market where you can purchase them. 1. Natural foods are as nature intended them to be. They contain no added ingredients or flavor. 2. A diet comprising of natural foods keeps many diseases at bay. 4. Natural foods are rich in vitamins and minerals which are necessary for a healthy you. There are not many disadvantages of natural foods apart from the facts that they are difficult to store, spoil after a certain period and are not available all year round. Eating right and exercising are key to healthy weight loss. In no case should you ever consider crash dieting or any form of crash diets. There are many different types of diets popular today. The most common side-effect of dieting is that in most cases weight loss stops the moment a diet is stopped and the individual begins to put on weight instead. Here are a few other after-effects of crash dieting. Tiredness: Most diets are centred around limiting your food intake. As a result of this, the body has less food available to convert into energy. This also causes a drop in blood sugar levels. As a result of this, you may find yourself tiring easily and with less energy to go about your normal day. Mood changes: Fluctuating blood sugar level can also make you feel irritable and depressed. Limiting your food intake can make you crave food which further adds to your irritability. By cheating on your diet with a sugar laden snack you may cause further fluctuation of insulin levels. This can be seen in the form of temporary elation. Slow metabolism: The body needs a certain calorific amount to function. When this is not available, it will turn to stored fat reserves and slow down the rate of metabolism. This can lead to a loss of muscles instead of fats and even stall your weight loss. This is commonly seen in cases of extreme weight loss. Loose skin: Dieting only addresses the fat underneath your skin. As you put on weight, your skin stretches to accommodate the gained pounds. Hence, losing a lot of fat can leave you with loose skin and sagging folds. This usually occurs on the upper arms and abdomen. The amount of loose skin left depends on the speed of weight loss, the amount of weight lost and your age. In this case, exercise does little to help and the only way to tackle the loose skin is through surgery. Gallstones: When you cut down on the fat quotient of your diet, your gall bladder does not contract as often. In many cases, this can lead to the concentration of bile which further leads to the development of gall stones. These gall stones can be quite uncomfortable and can cause a stomach ache as well. To avoid this, do not cut out fats completely, but include a few healthy fats in your diet. Walk every day: Walking 5 minutes a day does the world of good in the endeavor of shedding weight. Post the 6-week check-up after the arrival of the baby, the duration of walking can be increased. Brisk walking for half an hour can help the body to weight as much as 300 calories a day. Don't go on dieting: Feeling deprived of your most favorite foods while you are already stressed out by your new mom role could eventually lead you to gain weight. Instead of go on dieting, eat a well-balanced variety of low calorie foods. Carrot sticks, apple slices and wheat crackers are all good for munching. Breastfeed: Breastfeeding for a time duration of 30-45 minutes (about3-4 times a day) helps to lose 600-800 calories per day. Some women even report of shedding all their extra weight just through breastfeeding. This is by far the easiest way of losing weight. Cut down on calorie count- Calories, by all means, will have to be cut down. Certain fast food items such as soda, chocolate, and chips should not be consumed at all. Instead, meals rich in nutrient, fresh vegetable, fruits, whole grains etc. should be consumed on a daily basis. However, no matter how much reduce your intake, try not to dip below 1,800 calories a day, particularly if you are breastfeeding. Frequent meals- 2 to 3 heavy meals a day are detrimental to a person trying to shed weight. Frequent meals, on the other hand, maintain a steady blood sugar level, reduce the tendency of over-eating and do not let fat store in the body. Frequent naps- Studies show that frequent naps can help a great deal of weight. It reduces the craving of eating food with high calorie. It also revitalizes the metabolism and refrains a person from long term self-deprivation. Naps will also help to gather enough energy to perform other physical activities. Healthy snacks- Home-made snacks containing whole wheat, low-fat milk and yogurt are good snack options for post pregnancy weight loss. These snacks block hormones that are responsible for storage of fat in the body. Yoga or meditation- Yoga has proved to be extremely effective for women trying to shed post-pregnancy weight. It especially helps in toning down the fat in the upper and lower abdomen which is extremely difficult to get rid of. Yoga also relaxes the mind and helps to focus more. Consumption of warm water- Drinking warm water after every meal serves two purposes. It doesn’t let the fat store inside the body. It helps in better digestion. It has to be ensured that the water is mildly warm and drinkable. Avoid stress- Nurturing a baby is exhausting enough. Stress on top of this can be disastrous. It leads to depression resulting into junk eating. It has to be ensured that stress is avoided by engaging in activities such as cooking, painting or listening to music. I need your help for weightless through a good diet plan which is doable and I can not eat foreign or expensive veggies to lose weight. Suggest achievable and doable plan. Hi, We can surely help you to lose weight. We do it by a combination of low fat and high protein diet. We give you diet based on your likes, dislikes and your lifestyle. Also what food is available in your area is suggested and not any expensive things. I want to put on weight I eat good enough but am not able to put on weight I have a issues on this please help me out this. Hi, We can surely help you to gain weight. We give you calorie dense foods and increase your protein intake. Also we give you food based on your likes and dislikes.